Los Angeles native and real estate extraordinaire Melanie Goldberger has lived no ordinary life. Coming from a successful 20-year career in advertising sales in New York City, Goldberger has found herself as an even more successful real estate broker who has a deep understanding of what New Yorkers are looking for. How exactly has she managed to accomplish so much in two completely different professions? It all has to do with highlighting your best assets and evolving in a way that cultivates success. What is it about your approach that makes New Yorkers gravitate towards you? I tend to always gravitate towards New Yorkers; I know how they think, so I can reference items that they would appreciate. I believe my fast pace, humor and familiarity with what they go through after living in New York and coming to LA connects us. I have some clients that still live in New York and I’ve taken on the whole process for them; in a lot of ways, it’s helped me become a better agent. It’s easy for clients that work with me to be bi-coastal and live in both New York and LA. They’re very thankful for my assistance and I become friends with all of these people. What is your method when approaching clients? My husband always says, “I think you care too much.” We purchased our home in East Hampton, and then purchased our home out here; I can empathize with them in going through the process, especially in LA’s competitive market. We are up against multiple counter offers, especially the first-time home buyer market, which is extremely competitive. One of the things I do is give them a lay of the land of such a competitive market; all financials and other materials need to be ready to go. It’s important to get acquainted with the property’s listing agent and give them as much information about my client as possible. You have to be strategic and make sure your client is educated on the housing market. What kind of trends do you currently see in Los Angeles, and where do you see value? We’re seeing a lot of the money that used to go to the New York market. There’s more foreign money coming in with overseas clients that are moving to LA for investment purposes, but also for quality of life. I have clients that have townhouses in Manhattan and a house in the Hamptons, and would like to have a place overlooking the ocean when they visit LA. Instead of going to Florida, we’re seeing clients look into Los Angeles for their third or fourth home. Some of the walk-in closets in LA are the size of NYC’s apartments; I can totally relate to that after living in New York. Where are some of the areas that people are buying up in Los Angeles? Beverly Hills, Santa Monica, the Palisades — those areas are saturated. 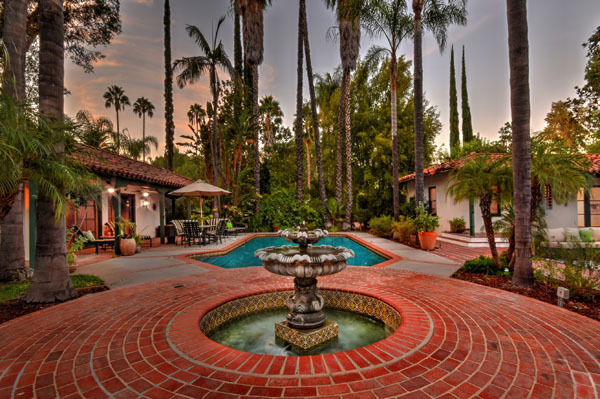 You get a lot more for your money out in the Valley and Encino than you do in the city. Also, places like Santa Monica, Marina Del Ray and Playa Vista are being snatched up by millennials and businesses like Snapchat. Venice Beach has been very popular as well. Every client that I have looking into buying in those areas is up against 5-10 other offers. Which are your favorite areas? I grew up in Encino and my husband is from Tarzana; we moved back to Pacific Palisades, from New York City when my son was one year old. Because I grew up here and have so many friends, family and a large network, I’m found in the Valley, the West Side, Beverly Hills, Brentwood — I’m pretty much everywhere! Do you feel like the West Side of Beverly Hills will always have its cache, or do you see a lull in that market now? No, it will always have that cache. It’s sophisticated — nice restaurants, the weather is cooler in the summer with ocean breezes — I don’t see it losing its cache. It’s still really competitive and they’re starting a lot of building ordinances that, in the last six months or so, have placed restrictions on how much can be built according to lot sizes in the area. The developers are having to go places where they can buy bigger houses on smaller lots. Basements are a new trend; people add in things like wine cellars and in-home gyms. The basements usually allow around 2,000 square feet below, and 4,000-5,000 square feet above. What do you think makes you stand apart as a real estate broker? I think I’m honest. Some brokers tend to be in a position where they’re more panicked, and I’m in a good situation where I’m able to take my time and really make sure that the right decision is being made for my clients. Home buying is one of the biggest purchases one makes in his or her life, and with that, comes a lot of emotions. I have to be a good listener and adapt to my clients’ needs. Respect for other agents in the business is also important, as agents work closely together to generate leads. What do you currently see is in the most demand for your clients? On the buyer’s side, it’s the off-market deals. Once these properties hit the market, you’re competing against so many buyers. Most of my clients are looking for a premium to get a property off market initially before it even hits, instead of waiting for it to get on the market and have to go through a bidding war. What do you see as some of your biggest challenges? The biggest challenge would be not having enough inventory in certain price brackets. Right now, it seems like the higher-end market is doing well, and so is the lower-end market. It’s that middle range between $2-3 million — if the house is kind of weathered — that midway point is struggling a little bit. Another challenge is to price the listing correctly, and hope that you get multiple offers. You have to know how to manage your client, and should be educated on marketplace trends in order to be realistic about the pricing you provide for them. The buyers are a lot more sophisticated than they ever were because of sites like Zillow and Trulia. At the end of the day, it’s their house; you don’t want to make buyers feel uncomfortable in any way, but you’re the expert. You’re there to educate and guide them and help them through the process as quickly as possible.